Pineapples are a tropical fruit that are grown primarily in Costa Rica, Honduras, Mexico, Dominican Republic, El Salvador, Ecuador and Nicaragua and imported into the United States. Pineapples are a rich source of vitamin C and contain the enzyme bromelain, which aids the digestive system. Bromelain is found in the pineapple stem and in pineapple juice. Bromelain is used for a variety of medicinal purposes. Bromelain seems to have anti-inflammatory properties, notes MedlinePlus. It is used to treat inflammation in the nose and sinuses, ulcerative colitis, relaxing muscles and helping the body reduce body fat. Bromelain appears to cause the production of substances that fight pain and swelling; it also also contains chemicals that interfere with the growth of tumor cells and slow blood clotting. Numerous studies have looked at the benefits of pineapple juice and the enzyme bromelain when it comes to the treatment of inflammation. 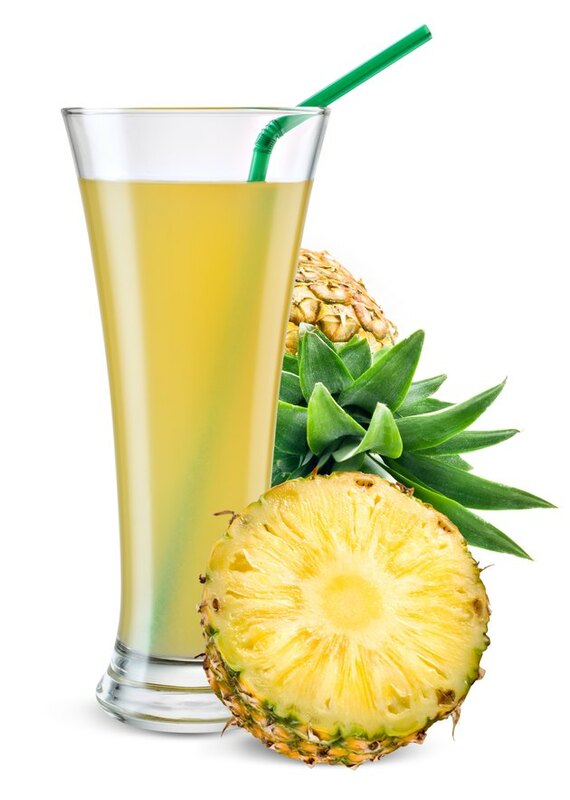 A study published in December 2010 in the journal "Inflammatory Bowel Diseases" looked at the connection between pineapple juice supplementation and the treatment of chronic colitis. Previous studies had shown that purified bromelain from the pineapple stem had decreased the severity of colonic inflammation and researchers wanted to see if the bromelain concentrations in the juice were capable of the same. Their results showed that long-term dietary supplementation of fresh pineapple juice with active bromelain enzymes was safe and did reduce inflammation severity. Pityriasis lichenoides chronica is a chronic skin condition of unknown origin that causes small scaling papules on the skin. It most often affects children and young adults. It is hard to treat and does not always respond to treatment. A study published in 2007 in the "Journal of Dermatological Treatment" looked at the possible effects of bromelain extracts from pineapple and the treatment of PLC. Researchers concluded that the efficacy of bromelain in treating PLC could be related to its anti-inflammatory, immunomodulatory and/or anti-viral properties. While pineapple juice does provide a high source of vitamin C and the enzyme bromelain, there are considerations that you need to consider before adding regular pineapple juice to your diet. Because bromelain is a natural blood thinner, you should not add pineapple juice to your diet if you take medication like Coumadin for blood thinning, as it can greatly increase your risk of bleeding and bruising. Before adding pineapple juice to your regular diet, consult with your physician. He may advise against it or adjust your medication levels to account for the bromelain. Can Pineapple Juice Help Bruises?